As an independent Trusted Choice agency, Fekete Knaggs & Burr Agency is dedicated to serving your specific insurance needs. We represent several leading insurance companies rather than any single provider. Therefore, we have the ability to continually monitor the marketplace and offer you the best possible coverage and rates. Our office uses state of the art computer comparative rating software and customer service systems, so you know your price will always be the most competitive, and your service second to none. Our goal is to provide you the highest level of customer service and dedicate our resources to meet your needs and earn your trust. Our success is based on your continued satisfaction. We are committed to a high standard of excellence in all that we do and to establishing a firm relationship of mutual trust and service with each of our clients. Please feel free to get a quote from us and let us show you WHY we are one of Michigan’s best insurance agencies! 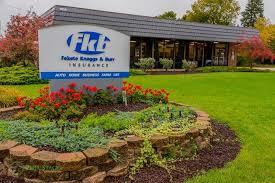 The mission of the Fekete Knaggs & Burr Insurance Agency is to provide a complete insurance program for each of our clients by understanding and meeting their needs. Growth will be achieved through an aggressive, consistent sales effort and the full development of existing accounts. Our staff will consist of trained professionals who are adept at developing and maintaining long-term relationships with their clients. Building lasting relationships with our clients, companies, and community to provide insurance protection through honesty, integrity, and friendly service. Tim Fekete graduated from Cornerstone University in Grand Rapids, Michigan in May of 1995. He received his life and health license in the summer of 1995 and his property and casualty license in 1996. He attained the designation AAI (Accredited Advisor in Insurance) in 2006. He specializes in personal and business insurance. Tim is married with 3 children and enjoys time with his family. He is a member of First Baptist Church in Cadillac. He loves to play golf and hunt on his free time. Tim Knaggs holds a masters degree in Business Education and Administration. He has been licensed in property and casualty since 1996 and specializing in commercial lines. He is very active in the community and has served a president of the Rotary Club and president of the Wexford County United Way. A native of the Chicagoland area, Cheryl and her husband Tony relocated to northern Michigan in December 2010. New to the insurance industry, Cheryl obtained her P&C license in May of 2014. An avid dog lover, she enjoys taking her dogs on long hikes on the river and woodland trails that surround her Harrietta home. Lindsay is licensed in Property & Casualty, and has been with FKB since 2014, specializing in commercial lines. She also holds an associates degree in Business Management and a bachelor’s degree in Business Administration. She obtained her CISR designation in 2017. In her free time, she enjoys cooking and spending time with her husband and 2 boys, traveling and boating. Heather Rider received her P&C Insurance license in December of 2013 and joined the FKB insurance team in September 2015. Heather’s specialty is personal lines insurance. Heather enjoys spending time with her 5 children, working on home improvement projects and being outdoors. Carrie moved to Michigan, from Texas in 2016 and started working at FKB shortly after. She obtained her Property & Casualty license in 2017 and specializes in personal lines insurance. She has 2 grown boys and a grandson whom she loves to spend time with. In her free time she enjoys being outside in the sunshine, entertaining, and spending time with family and friends. Scott is a licensed Property and Casualty Agent. He specializes in commercial lines insurance with a concentration in restaurant insurance. Scott obtained a Bachelor’s and Master’s degrees from Central Michigan University and retired from public education. Scott is married with 2 grown children and enjoys time with his family. He is a member of Zion Lutheran Church in Cadillac and the Cadillac Kiwanis Club. He loves to compete in archery tournaments, hike in the forest, and hunt on his free time. Trevor is a licensed Property and Casualty Agent with a Certified Professional Insurance Agent (CPIA) designation. Trevor obtained a bachelor’s degree from Alma College in Business Management. Trevor specializes in commercial lines with a focus on agriculture. He is also a member of Resurrection Life Church. Trevor Enjoys spending time with his family and friends, playing basketball and spending time outdoors.